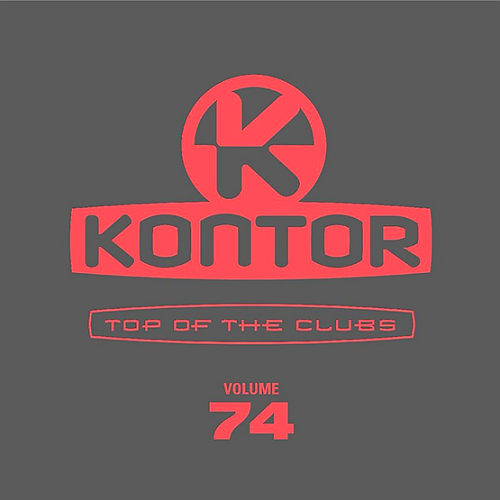 If the Kontor Top Of The Clubs 74 with their XXL tracklist is on the market, the compilation at the top of the respective charts have to wear warm, as the success of the Kontor Top of the Club series is unbroken, so the last edition ended up all In the top 3 of the charts. With the extensive tracklist is not really a miracle, because even at the 74th edition, there are again over 60 Mega Tracks from the charts. Since Kontor Records in the dance sector in Germany is probably the Platzhirsch, there are so far unpublished tracks or remixes, so to speak, as a bonus directly with it. Since we as a music magazine are known to receive the promotion information, we can clearly say that Kontor Records also makes the best job in terms of promotion. Although one rejects the handling of the magazines directly but for this, Berlinièros PR is a really good promotion agency. Let's take a look at the tracklist of the new Kontor Top Of The Clubs 74, where we find, as already mentioned above, more than 60 top tracks from among others The Chainsmokers, Martin Garrix, ATB, Armin van Buuren, Lost Frequencies, EDX, W & W, Dimitri Vegas & Like Mike and unbelievable many more. We deliver the MiniMix to the compilation, as soon as it was put online by Kontor Records. Since until the release on March 31, 2017, not so much time goes into the country, this will probably happen relatively quickly. In the meantime, you can watch the tracklist and the cover, so you can see what's coming.